Come live the Snorkeling experience! That half-day option allows you to discover the National Park of Port-Cros and Porquerolles by snorkeling. From our club, located on the harbour of La Londe-les-Maures (Port Miramar), you’ll be initiated to the snorkeling, by small groups, escorted by a qualified guide. 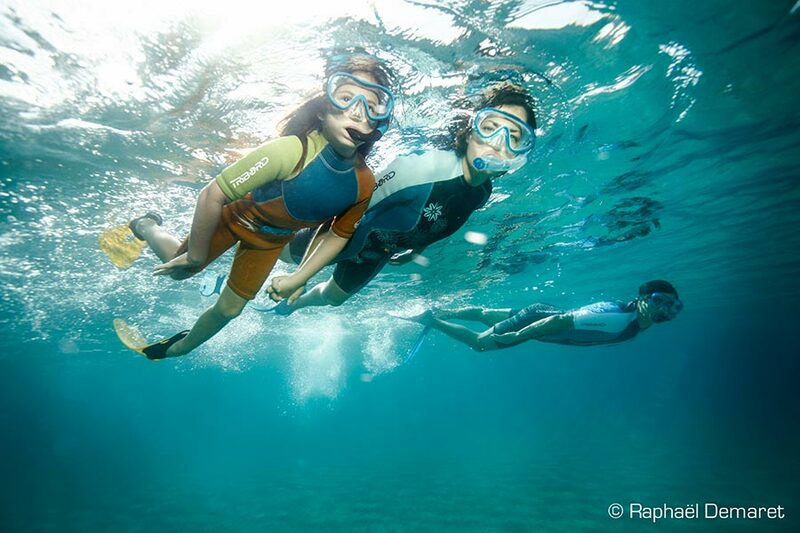 In your snorkeling excursion, you will float on the surface and admire the marine life below. This activity is open to all even to those who can’t swim. It is easy and fun. 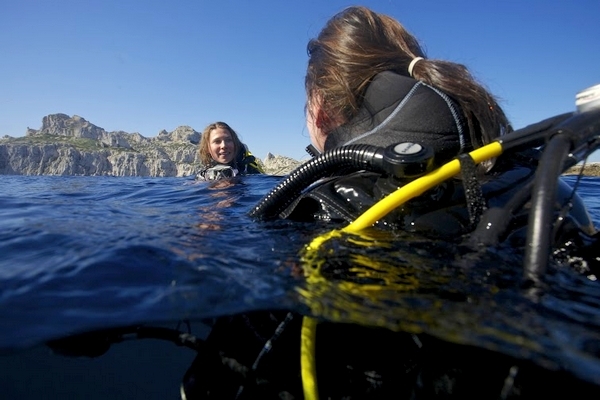 A guide will be with you all the time to help you discover our wonderful underwater world. 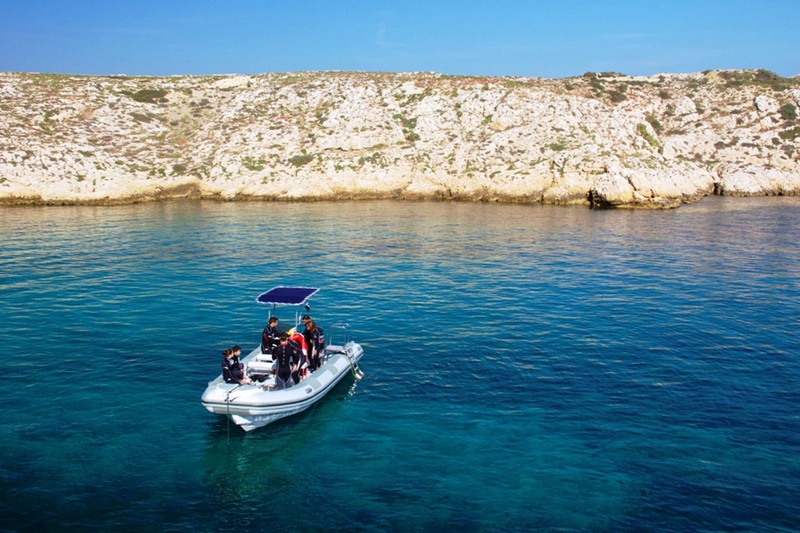 A snorkeling tour gives you another perspective on Port-Cros & Porquerolles National Park. You will be in a small group with a qualified instructor and you will find that there is always a great, friendly atmosphere! – An experience escorted by our « guides of curiosity » especially trained to make your experience unforgettable by sharing with you their knowledge of the environment throughout a warm activity hosting. – An exclusive access to exceptional territories carefully chosen for the quality of their environments and species encountered. – Discovery moments and uncommon encounters, lived in the respect of the environment, the species and other coastline customs. – Simple and adapted installations and equipments, designed for your comfort and your safety. Duration: 3h00 – From 7 years old. Try snorkeling and live the underwater experience with DUNE La Londe. Soyez le premier à donner votre avis “Snorkeling excursion in Port-Cros & Porquerolles National Park” Annuler la réponse.